Protect your vehicles from the sun and rain in style with one of our customers' favorite carports, the King Canopy 10 x 20 ft. Canopy Carport - 6 Legs. 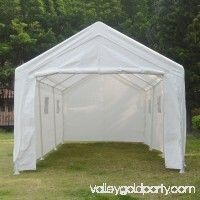 This 6-leg adaptable canopy can also be used as a shelter for parties, cookouts, or poolside protection to escape the scorching rays of the sun. 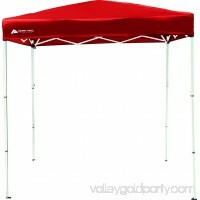 Protect your car with the King Canopy 6-Leg Canopy. 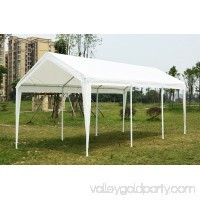 This sturdy canopy shelters your vehicle from sun and rain. 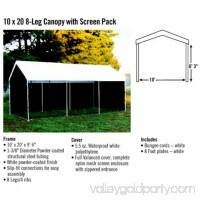 It's also great for flea markets, parties, and more. 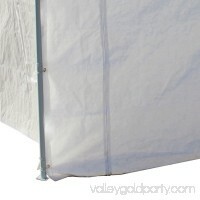 The tarp-style cover fits perfectly over the steel frame without hanging over the sides or ends. detailedDescription":". Moreover, King Canopy's covers aptly protect cars, trucks, recreational vehicles, boats, and jet skis; they may also serve as a free-standing temporary carport, dock house, gazebo, or garage. With a mission \"to provide high quality, innovative outdoor leisure and sports products that offer tremendous value to our customers,\" King Canopy remains committed to their values of family and honesty, and producing top-quality products.